Who Wants To Know The Truth Behind Traditional Treatment for Osteoarthritis? Those of you who “know me” know that I am generally not in favor of traditional drug therapies and that would include drug treatment of osteoarthritis. However, I try to present all of the options for “everything” in this website when possible. In addition, the traditional treatment for osteoarthritis is what most of you are “on” right now. Therefore, I want to make sure you have all the facts about your treatment and your options. In cases where someone’s osteoarthritis is causing significant pain, it is vitally important to address the arthritis pain and bring it down to a manageable level. Reducing pain will allow the patient to continue with daily activities and preferably be able to participate in a reasonable level of rehabilitation and exercise. 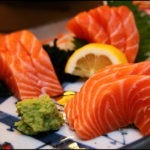 Everyone, however, can benefit from knowing the foods to avoid with arthritis. Helpful first line pain management techniques include rest, heat and/or cold therapy and various medications for reducing pain and/or inflammation. Often a combination of several or all of these techniques will work best. (I’m doing my best to be objective but will tell you I personally avoid recommending drug therapy in most cases). OK, I’ll stop with the “dissing of drug therapies” now and concentrate on bringing you the best information on the benefits and risks of the traditional treatment for osteoarthritis. If you’re wondering about the causes of osteoarthritis, meaning what you can stop doing to make things worse accidentally, then please read the article linked. There are several conservative care (non-surgical) options available as the first line of therapy to help alleviate the pain and stiffness caused by arthritis. Most treatment plans will include a combination of the options below which can apply to all joints. If you are at all unaware of what osteoarthritis is, read the article in this link. People with osteoarthritis often find warmth, through warm towels or hot packs applied to the joint, or a warm bath or shower can relieve pain and stiffness. Heat can help reduce inflammation and swelling in the joints in nonacute injuries and also help improve circulation. Water therapy in a heated pool or whirlpool may help too. In some cases, cold, through cold packs or a bag of ice or frozen vegetables wrapped in a towel, can relieve pain or numb the sore area. This is particularly the case for an acute flare up. Often, applying heat for 20 minutes before doing an exercise routine or activity, and following up with applying cold to the affected area afterward, will help alleviate joint pain caused by activity and exercise. The rationale for this is that heat warms up the joints and muscle to increase mobility and then ice “cools down” any inflammation caused by the activity which was performed. The use of heat and then cold is so sensible that, of course, I recommend this highly whether you use traditional treatment for osteoarthritis or non-traditional treatment. Primary care physicians. Doctors who treat patients before they refer them to other specialists in the health care system. Rheumatologists. Medical doctors who specialize in treating arthritis and related conditions that affect joints, muscles, and bones. Physical Medicine doctors (rehabilitation specialists). Doctors who help patients make the most of their physical potential, usually with a special focus on rehabilitation. Physical therapists. Health professionals who work with patients to improve joint function and physical conditioning, often in conjunction with a Physical Medicine Specialist. Occupational therapists. Health professionals who teach ways to protect joints, minimize pain, and conserve energy in the home environment and/or work environment. Dietitians. Health professionals who teach ways to use a good diet to improve health and maintain a healthy weight. Orthopedists. Doctors who specialize in surgical treatment for bone and joint diseases. 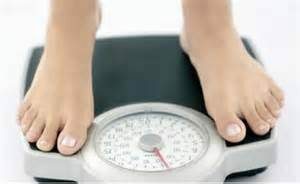 Lose weight, if necessary, to take stress off arthritic joints. According to a study in the November 2014 issue of Rheumatology which reviewed symptoms of 4,769 adults with osteoarthritis, the more a person weighed, the more pain they experienced. Avoid activities that cause pain or see a Physical Therapist for posture, gait, flexibility or whatever training you need to be able to perform the activity you wish. Exercise to strengthen the muscles that support joints osteoarthritis affects. 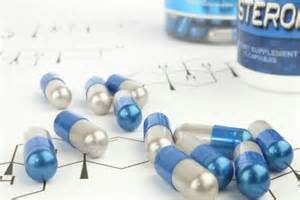 Acetyl l Carnitine is a supplement that helps build muscle mass. If you get to a point where you need medication to manage the pain of osteoarthritis, you should always begin with drugs that have the fewest side effects and stay on the lowest dose that provides relief. Treatment for osteoarthritis should always take into account the condition of your kidneys, liver and GI tract. Your doctor also might recommend sprays or creams that you can apply to your skin on or near the affected joint. Although there is no cure for osteoarthritis, treatment can significantly improve your quality of life. Remember medication should not be your first choice for treatment of mild osteoarthritis. 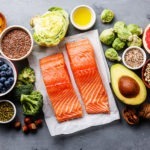 To review, the best treatment involves a combination of good lifestyle choices, educating yourself about osteoarthritis, and only taking medication when you need it. All pharmaceuticals have side effects which I’ll discuss pretty thoroughly. But first, know that any pharmaceutical carries a risk of allergic reaction or adverse interactions with other medications. Therefore, I always advise you consult with your doctor before taking any drug- even OTC drugs. Generally, the first medication recommended for osteoarthritis treatment is acetaminophen. It relieves pain but does not reduce inflammation in the body. Examples are Tylenol, Panadol, and generics. 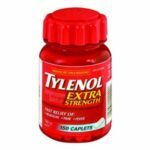 Acetaminophen is relatively safe, though taking more than the recommended dosage can damage your liver. If you take acetaminophen regularly, you should no drink more than two alcoholic beverages per day because the combination of acetaminophen and alcohol increases the risk of liver damage. Aspirin is an OTC (over-the-counter) drug that treats pain and inflammation. When taken for OA, aspirin may help treat all symptoms to increase quality of life. 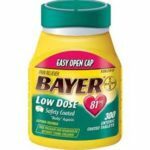 It’s available under numerous brand names including Bayer, St. Joseph’s and more including, of course, generic aspirin. For people who don’t respond to acetaminophen, a NSAID is often prescribed at the lowest effective dose. 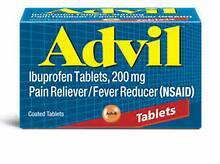 Common over-the-counter NSAIDs include Advil and Motrin (ibuprofen) and Aleve (naproxen.) NSAIDs relieve pain and reduce inflammation. However, they cause more side effects than acetaminophen. NSAIDs may lead to stomach upset, stomach bleeding, kidney damage and microscopic colitis causing severe diarrhea and loss of electrolytes. NSAIDs also increase the risk of heart attack and stroke. They might raise your blood pressure. These drugs tend to be “COX and LOX” inhibitors. Other less common side effects are swelling of the feet (edema), and heartburn. An important note is that Aleve seems to carry less of a risk for heart attack and stroke than Advil. COX-2 inhibitors are prescription-strength NSAIDs such as Vioxx. They are supposed to cause less stomach irritation but should still, like the above drugs, be consumed with food. However, although COX-2 inhibitors may lead to less stomach upset, they have the same risk of kidney and colon damage. These medications carry the same warning of increased risk of heart attack and stroke as over-the-counter NSAIDs. COX-2 inhibitors should be taken only at the lowest dose needed to relieve your pain. Diclofenac-Misoprostol (Arthrotec) is the NSAID diclofenac with a drug (misoprostol) to protect against stomach ulcers. NSAIDs pose a risk of ulcers. Misaprostol is stomach protective, but the drug causes abdominal pain, diarrhea, and nausea in many people. 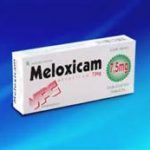 Piroxicam is a prescription NSAID selling under the brand name Feldene. Indomethacin (Indocin) is one of the original prescription NSAIDS which show to relieve symptoms of osteoarthritis, rheumatoid arthritis, and ankylosing spondylitis. It is also often used to treat gouty arthritis and pseudogout. 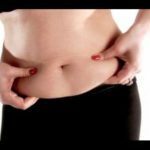 Many believe it is the “toughest” on your tummy. Meloxicam (Mobic) can reduce symptoms of OA as well as symptoms of rheumatoid arthritis (RA). According to the (NIH), one clinical trial showed it was particularly helpful with treatment for osteoarthritis of the knee and hip. Ketoprofen (Orudis, Ketoprofen ER, Oruvail, Actron) is effective for symptoms of OA and RA. Sulindac (Clinoril) is used for acute or long-term relief of OA, Rheumatoid Arthritis, Ankylosing spondylitis, shoulder pain, and acute gout. Diflunisal (Dolobid) can be used to treat acute or long-term OA, Rheumatoid Arthritis, or mild to moderate pain. Nabumetone (Relafen) is a NSAID used to reduce pain, stiffness, and swelling. It’s used for both OA and Rheumatoid arthritis. Oxaprozin (Daypro) can be used to treat swelling and pain in OA, Rheumatoid Arthritis, and also in developing RA. Tolmetin (Tolmetin Sodium, Tolectin) can reduce symptoms of pain and swelling in OA and other forms of arthritis. Salsalate (Disalcid) is an aspirin like NSAID. It is likely the most well known and most widely prescribed which is more of a reflection of good marketing than of efficacy. In 2012 a rash of studies showed a severely increased risk of heart disease for those taking this medication. The parent company, Pfizer settled a lot of lawsuits. While it is still on the market, it does not have my pardon. I would be quite careful with this regularly-prescribed drug. 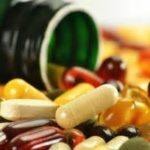 Did I mention that every single one of these drugs can cause leaky gut? Duloxetine (Cymbalta) has approval for treating arthritis pain. Other anti-depressants presumably will be approved or used off-label. 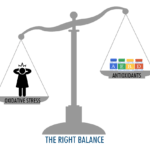 I use natural mood enhancers so you might want to explore that option for pain relief too. We know chronic pain can lead to mild depression so this is the likely mechanism of action. 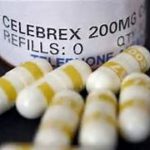 One last note about Cymbalta- this can severely tax your adrenals which is a whole other topic but I would not take the use of Cymbalta lightly. I have seen plenty of cases of adrenal fatigue caused by this drug. 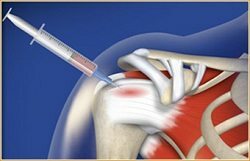 Orthopedists or Rheumatologists sometimes inject corticosteroids directly into the knee joint for quick relief of pain and inflammation. Their benefits may last weeks or up to 3-4 months. Sometimes as long as 6 months. While the injections bring targeted relief to the joint and lack many of the side effects of oral corticosteroid medications, they are not without risks. Repeated corticosteroid injections actually contribute to cartilage breakdown. For that reason, your doctor should put a limit on the number of injections you can receive. My recommendation is 2 per year per joint. If you have inflammatory osteoarthritis, you may have “serious” (non-infected) joint effusions or collections of fluid. This procedure, AKA joint fluid aspiration is the removal of joint fluid through a hollow needle inserted into the joint space of the affected joint- most commonly the knee. Removing excess fluid can quickly ease pain and swelling. Often after withdrawing fluid, doctors use the same puncture site where the fluid was removed to inject a corticosteroid preparation and/or anesthetic into the knee joint to relieve pain and inflammation further. Note all aspirated fluid SHOULD go to the lab for analysis “just in case” there is another cause for the fluid accumulation. Yes, such as infection or gout or (heaven forbid) cancer. Corticosteroids, or as many know “steroids,” are synthetic medications such as prednisone (Deltasone, Sterapred, Liquidpred), dexamethasone (Dexpak, Taperpak, Decardon, Haxadrol), methylprednisolone (Methacort, Depopred, Predacorten and hydrocortisone (Cortef, A-Hydrocort, Hydrocortone). When someone has OA, they use steroids sometimes for severe flare-ups for brief periods of time. However, there are many risk factors if people use them long term. 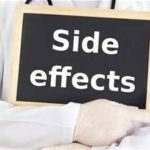 Side effects with long-term use include cataracts, elevated blood fats and blood sugar levels, increased appetite, muscle loss and bone loss as well as stomach ulcers, high blood pressure and even depression or moodiness. An editorial note from me here is that non Anti-aging doctors do NOT use bio-identical hydrocortisone for some reason. What reason? They do not have the education to know about synthetic vs. bioidentical hormones. You see all of the side effects listed above? You get NONE with bioidenticals. I have several patients who came to me with rheumatoid arthritis, on synthetic cortisones and immuno-suppressants-YUK! All of them needed a GI microbiome clean-up, got switched to bio-identical hydrocortisone, weaned off of immuno-suppressants and COX-2 drugs and onto natural COX/LOX inhibitors (which I’ll discuss in the “natural” article on degenerative joint disease coming next) and are doing GREAT. I had one osteoarthritis patient come to me on high dose prednisone and had all sorts of side effects such as osteoporosis, thin, easily bruised skin and more. 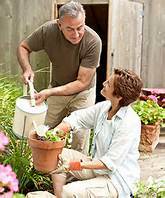 I got his osteoporosis treated with bioidentical hormones and switched him over to natural treatment. Shame on doctors who do not have training in my sub-specialty for just plain not keeping up! Topical analgesics or pain drugs may be ointments, gels, creams, or patches. Most of them are over-the-counter treatments that don’t contain any traditional medications. Other ointments are prescription topical treatments. Some topical treatments offer immediate, short-term relief. Others offer long-term relief and are for continuous use. 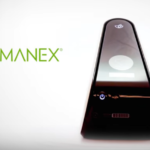 These products are for topical use to ease OA pain without relying on oral medications. They contain a topical aspirin-like NSAID. You can apply them directly to painful joints as needed. They are extremely irritating and long lasting in sensitive areas, so you need to be careful with application. 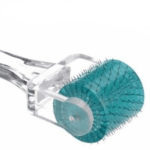 They can cause irritation of the skin “anywhere” and even chemical burns. People with an aspirin allergy or who are taking blood thinners should not use these creams. Due to absorption, they can also cause stomach problems or increase the risk of stomach ulcers or bleeding from gastritis. This topical contains an aspirin-like drug that relieves inflammation and pain. People with an aspirin allergy or who are taking drugs to thin blood should avoid this medication. This also can also cause stomach problems or increase the risk of stomach ulcer or bleeding. Likely the most effective OTC and since it is a “natural” preparation when purchased in the correct formulation, I’m all-in on this one. Diclofenac gel is a topical NSAID recommended over oral NSAIDs in elderly patients to prevent stomach bleeding. This product is usually used to treat shingles pain. It can also treat a specific area of pain, for example, on the back or on a particular joint. 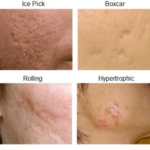 Lidocaine patches are extremely costly, and they usually require people to try and fail other alternative treatments before they use these patches. Sometimes topical lidocaine aggravates pain or causes skin reactions. You can have this made as a gel preparation-not widely known-but now YOU know! This is actually a reasonably safe topical. 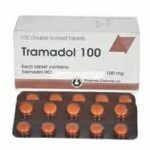 Tramadol is a prescription pain reliever that has some of the properties of an opioid pain reliever, and some of the properties of an antidepressant. It is for the treatment of “short course” flare-ups and may be as effective as options such as Percocet. If you’re experiencing severe pain, your doctor may recommend an opioid medication. These are medications that act like (or are made of) opium, a narcotic drug made from the opium poppy. Although opioids are powerful pain blockers, they also have many side effects and are quite addictive. We have an epidemic of prescription drug addiction, so please be careful if one of these drugs is prescribed for you. In 2013, the most recent year for results from the National Survey on Drug Use and Health, the number of Americans misusing painkillers was about 6.5 million in any given month. The intent of these drugs is for short term “flare-up” usage only. Common opioids include Darvon (propoxyphene), Vicodin (acetaminophen/hydrocodone), and Percocet (acetaminophen and oxycodone). Doctors give a host of opioid prescriptions for the treatment of osteoarthritis which, in my opinion, is malpractice. Opioids are put into “drug classifications.” Below is the list. Classifications are: codeine, fentanyl (one that should NOT be used for OA), hydrocodone (Vicodin and many other formulations), hydromorphone, morphine (should NOT be used), meperidine (Demerol) (not often used but should not be used),and the most addictive of the bunch: oxycodone (Oxycontin) which in my opinion should not be prescribed to anyone other than those with cancer pain. I understand that arthritis causes pain, often severe pain. But there are many alternatives to opioids, and you don’t need to add drug addiction with all of the problems posed by that, to your medical issues, do you? If you have let a doctor get you addicted to opioids for arthritis pain, I suggest that you consult with a pain management specialist. In addition, find alternatives before your total health is in jeopardy. Don’t wait. Do it now. Please know there are alternatives. Find them right here in other articles.